With St. Patrick’s Day coming up, the opportunity to wear green and quaff a cold one will make an otherwise routine Tuesday night a memorable one (or not). But more brewing companies are realizing that climate change could have a long-term effect on their businesses. As the craft beer industry continues to take off during this golden age of beer, warmer temperatures and extreme weather in the Pacific Northwest have driven the price of hops up 250 percent the past decade. With hops seldom grown anywhere outside of the northwest, that favorite IPA of your will continue to rise in price—if your favorite brewer will be able to source them at all. And do not assume wheat and barley production will be unaffected in the near future. To that end, 24 breweries in a partnership with Ceres have signed a declaration urging the industry to take greater action on climate change-related risks. Among the signatories from the beer industry are Guinness and New Belgium Brewing, along with smaller craft breweries such as Smuttynose Brewing in New Hampshire and Snake River Brewing in Wyoming. At Triple Pundit, we have long covered the sustainability work large brewing companies, and especially microbreweries, have accomplished across the U.S. from Milwaukee to Portland, OR. That work has not let up at all. Let’s start with energy: several of the signatories, including Allagash Brewery, Brewery Vivant, Deschutes Brewery, Hopworks Urban Brewery, Odell Brewing, Redhook and Widmer Brothers use 100 percent clean energy for their operations’ needs. Freemont Brewing and Odell Brewing have reduced their electricity consumption by capturing steam during the brewing process and then use it for heating their facilities. And considering the water footprint behind filling and capping a bottle of beer, more companies are using new clean technologies to reduce their water consumption. Brewers are increasing their water efficiency, crucial in regions that struggle with drought and water scarcity. 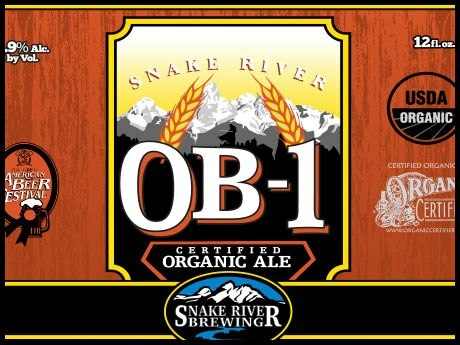 Odell Brewing has installed modified vacuum pump which triple-uses water, saving the Colorado brewery 1.25 million gallons of water annually. “Green beer” is way more than a novelty you down on St. Paddy’s Day, hopefully while not wearing a green shirt. It has become a way of life and conducting business for these craft beer makers across the country. In fact, the beer brewing industry is a growing economic driver in America, with over 2,800 breweries generating $246.5 billion in economic output in 2012. Directly and indirectly, breweries have created and sustained over 2 million American jobs. Every single brewery job has a multiplier effect, as one single such job ends up creating 45 direct jobs across agriculture, transportation, distributing, business, packaging, machinery and retail. But these jobs will not last forever if current trends in our world’s climate in the long run. With the craft beer revolution showing it is not a trend, but a way of life, beer companies will have to share ideas on how they can mitigate their impact on the planet, from driving down that water-to-beer ratio to using renewable energy to reduce their impact on the local grids and environment.